Our business solutions are empowered by an ecosystem endowed with strong global partnership and alliances. We develop Agile, yet, cost-effective software solutions through alliances with leading technology partners. We jointly deliver custom-made solutions that address specific client needs. Our alliance program with Samsung, aims to provide business solutions and vast technical support for cutting edge technology in Samsung mobiles. This program caters to entrepreneurs and partners who have met the eligibility requirements put forward by the Samsung Enterprise team. 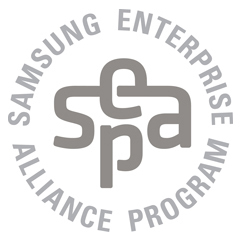 Bridge Global is proud to be recognized as a silver partner with Samsung Enterprise Alliance.